Looking for the best monthly web hosting providers in 2019? In this article, I'll list you 7 of the top rated affordable WordPress hosting sites that bill you month to month with free domain. There are a ton of best cheap hosting providers available for WordPress users but there are only a few companies that offer your monthly hosting plans. The major benefit of hosting your sites with monthly web hosting companies is that you don’t have to shell out a lot of money at once. Instead you can pay every month so you can start your own blog without worrying much about money. 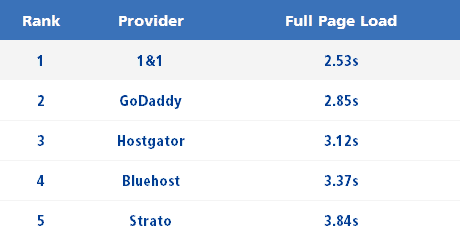 One thing to notice in my list of best monthly web hosting services is that you'll not find Hostgator anywhere. I've had a bad experience with them some 3 years back and I even tried them some months ago thinking of giving them a second chance but I was even more disappointed. So, you'll never find me promoting anything like that because of one single fact, even if they pay more I can never sell my visitors to that torture and risk their business. So here’s a list of 7 of the best monthly WordPress hosting services that are worth every penny. 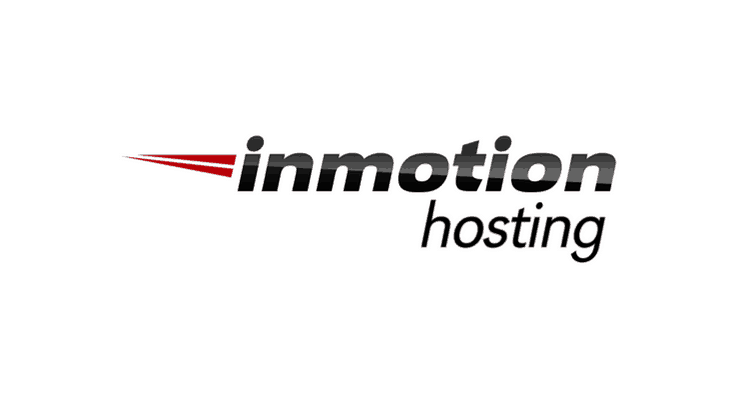 Inmotion hosting is one of the best non-EIG owned hosting companies (EIG- Endurance Internation Group that owns majority of web hosting companies you see, example Bluehost, Hostgator, iPage etc). Inmotion is around since a long time and has created a solid reputation based on the hosting quality and support it provides. If you're looking for WordPress hosting services that bill monthly, getting Inmotion is a no brainer. I personally use them for most of my niche sites because they are reliable, faster than most of their competitors and offer a rock solid customer service. They offer free website migration so you don't have to face hassles or downtime while migrating your blog or if you want to start a complete new website, they offer you a ready to launch site in an hour! That's how much they care for you. Saves you the hassle of creating or migrating a WordPress website! Inmotion hosting (like any other hosting in this list or out of this list) costs a bit higher in monthly billing cycles than yearly. OFFER: You can save over 46% on Inmotion hosting today using our Inmotion hosting discount coupon! Before continuing, I'd like to say that WPX hosting is the WordPress hosting I love and use on this site. There is absolutely no hosting that comes with par in terms of what WPX hosting provides. WPX hosting, is not cheap! It costs you a hefty $24.99 per month (costs much less for yearly plans) but it is worth it. If you are anyone who cares about Google ranking and SEO, you should definitely get this. WPX hosting is not only one of the fastest WordPress hosting in the world (did I say fast website loading time is a ranking factor? Heck yes!) but also has the fastest customer support. I chat with them often and I never felt I was chatting online, they were as quick as you call "Hey! Tom" on the other desk and Tom responds. WPX hosting is managed WordPress hosting with monthly billing option. Meaning, you don't have to do anything with your site except content and grow your business. WPX does everything for you like free nightly backups and free restores, security patches, installing services like caching plugin or CDN and even allows you a duplicate staging area to duplicate your site and do changes and merge it to live site if you want. Read my unbiased review of WPX Hosting to know how they can boost your site's performance and are the perfect bang for the buck. Unlike other hosting they don't send you a link to a tutorial or upsell anything they guarantee "fix for you" to solve any issues you have on your website. Known for its fast loading speed and reliable WordPress hosting, A2 Hosting offers all that you need to create a website. From absolute beginners to professional bloggers, everyone can find the suitable hosting plan with A2. If you're looking to get WordPress web hosting with monthly billing, A2 is a strong candidate to consider. A2 hosting is so secured that they privately own their servers and non except their employees have access to them. Quite secure I must say! A2 hosting also provides free backup plans with Server Rewind which you can access via the cPanel. If you wish to downgrade their existing hosting plans, a small server migration fee will be charged on customers. I like the concept of going eco-friendly while not compromising on quality of service they provide. GreenGeeks is the perfect example of how we can also become responsible citizens while doing business like no other. It is the most eco-friendly hosting company and also a EPA Green Power partner. It uses a huge amount of energy and has a big environmental impact. They purchase 3 times the wind energy credits to make up for the energy used by their services to power your website. If you choose the month-to-month billing, there’s a $15 setup fee. The fee is waived if you pay for a year or more. Kinsta is another high end WordPress hosting that is worth every penny of your investment. They've taken the concept of fast loading websites to just another level with reducing sites hosted on them to less than a second loading time. Not only that, Kinsta web hosting is fully optimized for woocommerce hosting and if you're looking for woocommerce hosting sites that allow month to month web hosting billings, Kinsta is something you should try. Kinsta is powered by Google clouds which make them secure and faster than any other hosting you can think of. Their managed hosting takes care of everything you need at the backend like free site migrations, backups and site restores, to name a few. Like WPX above, Kinsta too has staging sites where you can push developed sites, clone sites into live sites with just 1 click. At $30 per month it's definitely not the cheapest monthly hosting out there, but it is one of the best you can get. 1&1 is another cheap month to month web hosting with easy billing options. 1&1 is around since 1988 (that's even before Google existed!) and has millions of users worldwide. 1&1 has a very unique strategy to make sure your site never goes down. They simultaneously store your websites in two different servers so if, by any chance, your server fails they take up your website via the others server ensuring no downtime. 1&1 offers super cheap web hosting starting at $0.99 per month which is very affordable as compared to others listed on this list. They are one of the main competitors of Godaddy offering a better hosting solution that Godaddy. Offers free SSL which is huge at this price point. It is good for quick test sites or personal sites but I wouldn't recommend it for serious blog owners with huge traffic. TMD hosting is another top notch hosting service that offers monthly billing plans and comes with free domain too. TMD isn't the best out there but it is a great hosting for anyone looking for a cheap hosting with monthly billing option. They offer free SSL, free cPanel, unlimited bandwidth and basic caching options for faster loading sites. They check their servers and sites hosted with them for malware infections seriously. Only the senior staffs are allowed to perform malware scans using the web based firewall powered by BitNinja to make sure your site is safe. So, I hope you liked our collection of best monthly WordPress hosting that provide free domain, quality service and even better customer service. This list contains the best of 100s of hosting services that provide month to month payment option with free domain but when it comes to choosing the best hosting I cannot think beyond these. See when it comes to hosting, it is not like one size fits all. Recommendations are only based on what you need and what is your budget like. For example, in this case WPX hosting and Kinsta hosting provide unparalleled features and quality (like CDN, SSL, very fast servers) that can help you boost SEO rankings along with great customer service that ensures you don't lose your peace of mind. But, they do cost you more than the rest. So, if you've a busy business where you need to focus on other aspects of growing your business without worring about hosting hassles you cannot get any better monthly web hosting plans than these. On the other hand, hosting like Inmotion's and A2 hosting are very good budget hosting with monthly billing plans. They offer best WordPress hosting services you can get at that price range. So, I recommend you to go with either of the above four depending on your budget. Let me know your opinions and what is your favorite hosting when it comes to monthly web hosting.